I live alone and I am not self-motivated. Add high-speed Internet and a computer to that mix and hours of unproductive time in front of a screen easily ensue. I get up every morning and go out for a coffee. While in the car on the way to and from the coffee shop, my mind teems with ideas, but by the time I get back and plop down in my computer chair, the ideas all but vanish, along with the motivation that had seemed so promisingly potent just a few minutes before. Today, I am noticing and observing my urge to surf the net, to repeatedly check email and Facebook, and to peruse flight deals on Kayak for trips I am NOT taking. I am in this moment plagued by that funk, that slightly sunken mood that renders me unproductive. I have notions about working on my book and brainstorming video scripts, but I don’t have that oomph that creative writing requires. I almost never have that oomph! This is the battle I struggle with every single day. The ease of access of technology makes the battle harder to win, because the Internet soothes me by giving me something “satisfying” to do that I don’t have to work for, and that I can reliably do even when I am in the deepest of funks. When I click to refresh my inbox, there is a subtle and instantaneous anticipation that a new message could arrive. I feel that in my gut, a subtle sensation of expectation. If no new, non-spam messages arrive, I can check Facebook to see if there’s a new notification, friend request or interesting newsfeed piece. I might even espy an article that outrages me, and then I can get energized to respond. If these two sites provide no satisfaction, I go to LinkedIn, and check out stories about business and read articles on how to find a job, even though I am not looking for one. Technology makes many aspects of my life easier, but it also messes with my mind. I have click-itis, that disease that warps the mind by giving instant satisfaction via a micro movement of the index finger. I can sit and click for hours upon hours, and I cannot, or do not, stop! For me, technology quickly becomes addictive; it harms me by distracting me from what I really want to accomplish. I continue this behavior in spite of the negative consequences, which are nothing short of destroying, or at least delaying, my dreams. When I merrily click away, I am not writing; I am not doing the hard work of distilling my message; I am not in integrity with myself or the people who look to me for guidance. My relation to technology has an impulse-control aspect, because I often “play” online for hours, when I had simply gone on the computer to check and respond to email for fifteen minutes. Technology wastes my times, and lays waste to my dreams. Here are some signs that you, like me, might have a problematic relationship to technology. 1. 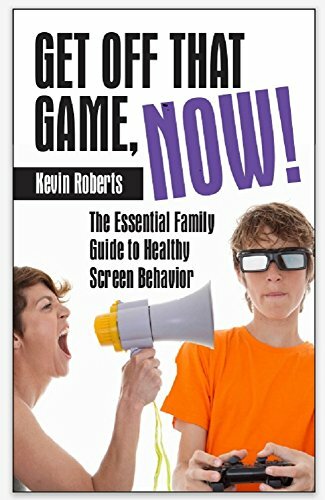 Time warp: inability to determine screen time. 2. Changes or disruptions in sleep. 3. Emotional disturbance when you are deprived of the screen. 4. Withdrawing from family and friends in favor of the screen. 6. Persistent inability to cut down. 8. Prefer the screen over family and friends. If you exhibit a few of these, I recommend a techfast, for which I will provide detailed information in next week’s blog. Technology sends my life out of balance. A techfast helps remedy that situation. NOTE: This blog post started because I was pissed at myself for being in a funk. I simply decided to be honest about my internal process, and I also let the anger power me through. After having written this, I am 90% out of the funk, but beset with a strong urge to go back now and check email, Facebook, and LinkedIn. I can do that if I set a timer. Five minutes, no more! Kevin you need a live in coach. I will make arrangements. Ah, the ago old dilemma…how to get a grip. So far, your tech-fast seems to be the most logical. I must try it. Sometimes I reach the end of the day and realize that the only thing I have done is BE on Facebook doing just what you described. The newsfeed that sends you to a similar story, another story then to read all the comments that have been made about all the stories then to wording my well thought out answers. By the time I do all that, it’s time to check again. Then there are the “must-see to believe” photos that take you to more and more pictures and articles and comments. And don’t get me started on animal stories/pictures. I commiserate, I empathize, I am enraged, I rail at all the injustices in the world and curse the people whose actions and thoughts are churning up the acids in my stomach. Sometimes I smile at a lighthearted picture or story then I forward it which could also take time as I wait for the comment of the thumbs up. There are many, many other, more productive things I could be doing but I sit there. Sometimes the instant messaging goes for two/three hours. So…time to take a tech-fast. I will take your advice and set a timer and maybe try for a bit longer time away from the technology each time. Are there 12 steps to this program? Chicki, thank you for your reflective response. There are 12 steps for online gaming, but not for this specific issue yet. Maybe we should make them! I appreciate your honesty, and I think others will benefit from your remarks here.